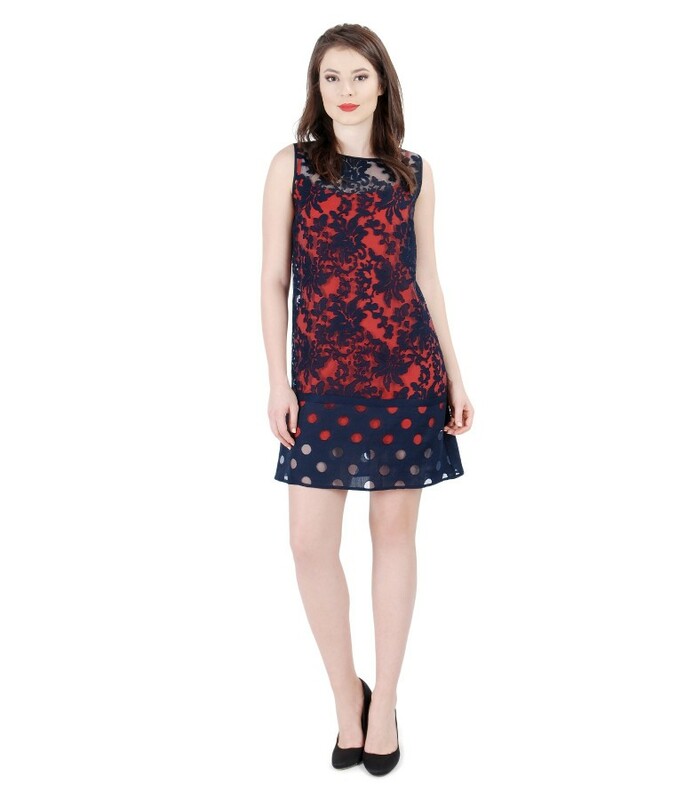 Casual brocade organza dress with viscose motifs and flax, slightly flaring, with trimmed edge, doubled with soft elastic jersey. Have no closing system. 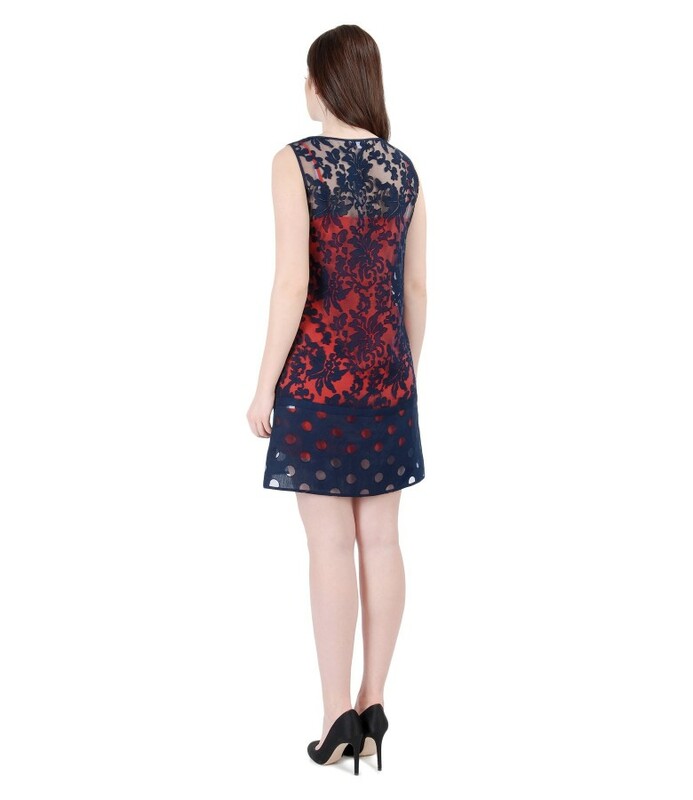 The dress comes with it's slip, but it can be order separated slips with various colors and prints for such an image.